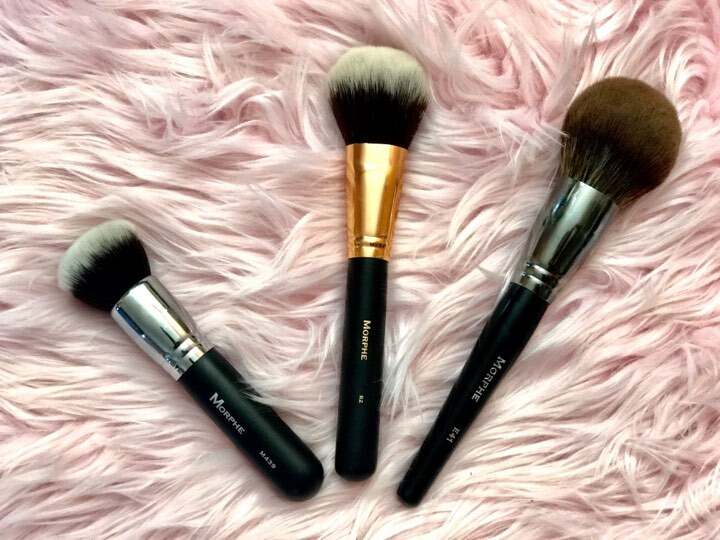 Here are my current favorite and must use everyday makeup brushes. Two different setting brushes and a contour brushes. I will list them in the order I use them. You’ll fall in love with this brush too as much as I did. It’s the E41 by Morphe Cosmetics. Their entire line of makeup brushes are beyond soft on the bristles, sturdy and perfect for blending. This brush is probably one of the biggest on in their makeup brush line. The fullness of the brush makes it easy to apply the perfect amount of powder and blend out flawlessly in a fraction of the time. It’s so big, it gets the job done quick. Click image to shop product. The Morphe R2 brush is perfect for an effortless and flawless contour. It’s perfect for makeup on the go. Makes applying your contour so easy. The brush is big but angled enough to create the perfect cheek bones. Get yours today by clicking image. Retails $14.00 click image above to shop product. All these brushes are under 30 dollars, making them extremely affordable. These will make perfect Christmas Gifts.